We want our wines to become the Privileged accomplices of shared moments with your loved ones. Created at the rhythm of nature, in the heart of our vineyard on the Île d'Orleans, Quebec, our local products respect the purest wine traditions. Our unique wines, authentic as our family, will transform every moment in great opportunity. Fraîcheur du Fleuve is a fruity red wine as fresh as the river. You can enjoy it like a breeze before a nice meal. The Marquette and Baco noir blend perfectly to offer a wine as authentic as your conversations with your loved ones. Surprenante révélation is a dry and lively Riesling that will satisfy the greatest connoisseurs. The combination of spicy and acidic flavors creates a unique and captivating taste. 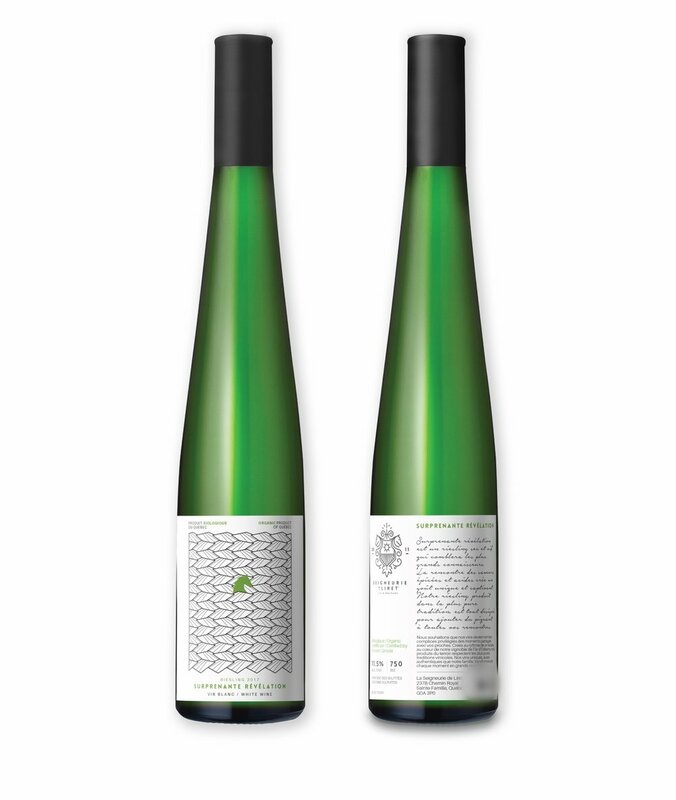 Our Riesling, produced in the purest tradition, is ideal to spice up all your gatherings. Mousse des vents is a rosé sparkling wine of traditional method that reminds the effervescence of the wind through the branches of the vines. Generous in bubbles, it offers a tasty blend of white Frontenac, Vidal and Baco noir that brings the color of red fruit. It is a product that you slowly enjoy to take full advantage of every good occasion. Nuage effervescent is a wine whose name evokes the view of the sky and the bubbles that are worth their weight in gold. It's a delicious blend of Pinot meunier, Pinot noir and Chardonnay. A luxury ideal to emphasize moments that you consider particularly exquisite. Sales in the Vineyard are not available at the moment. You can find our wines at the below listed merchants and in restaurants. We dedicate our energies to the preparation of our wines, thus it is unfortunately impossible to us to offer visits of the vineyard.